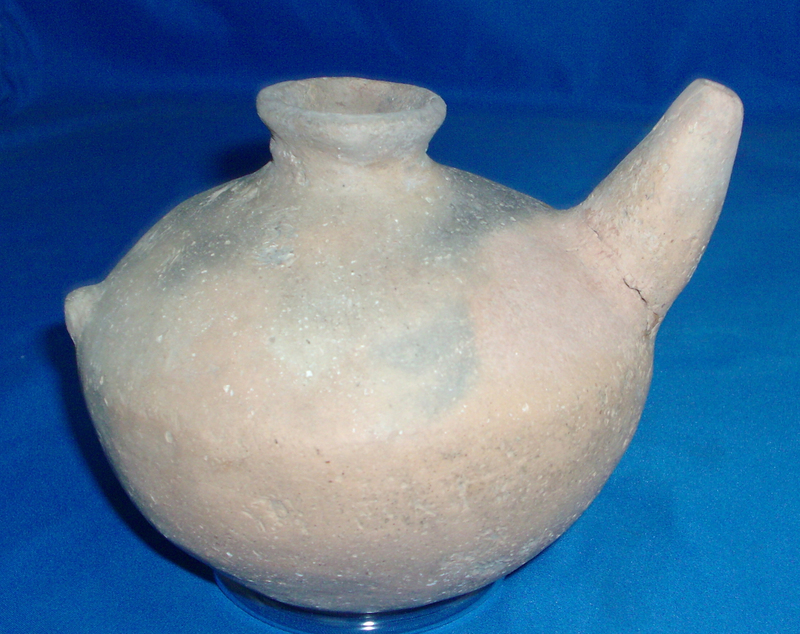 A Medium Size, Mississippian Teapot That Exhibits Surface Aging & Clay Coloration Aging Patina,Visible Surface Aged Shell Grog, Visible Aged Open Pit Firing And Firemarks, Ancient Rodent Teeth Markings, Correct Bottom Use Wear, Handle And Polish Use Wear, Correct Type Material And Manufacture For The Area Found. Ex-Sam Johnson And Jack Bonds Collections. This Nice, Highly Collectable Example Has A Broken, Glued And Repaired Spout With A Small Popped And Glued Probe Hole In The Bottom, Otherwise Solid. Includes A Ken Partain Certificate Of Authenticity!